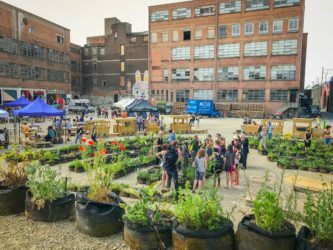 Wonderlecht is a lot more than a vegetable garden, it is a training and experimentation ground for urban farmers. 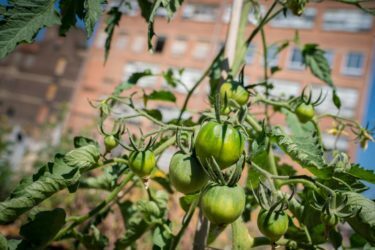 Its goal is to raise awareness about urban farming, biodiversity, and more globally the environment. 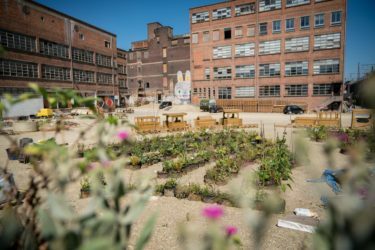 Located on a former industrial site that is being renovated, Wonderlecht lets you discover fruits, vegetables, edible flowers, herbs and medicinal plants. They are grown with care to protect ecosystems without any chemicals. Beautiful flowers attract and feed pollinators. 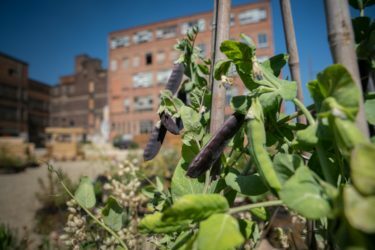 This project located at Studio Citygate is a joint venture between Skyfarms and le Début des Haricots ASBL to create a new model for urban development.